Fiber Care Carpet Cleaning and Repair specializes in vinyl floor cleaning and refinishing. Our highly trained technicians use the knowledge we have gained through years of experience will give you the peace of mind that you would want when you decide who should clean your floors. We’ve been in love with this type of flooring since the 1920s, when it was accidentally discovered by a scientist looking for a rubber substitute. Vinyl is also known as polyvinyl-chloride or PVC. Vinyl flooring has largely replaced linoleum because it has a greater brightness and translucency. It’s also far less flammable. While it’s got a reputation for taking a beating and still looking great, you can extend the beauty of your vinyl floors by having them professionally cleaned and conditioned. 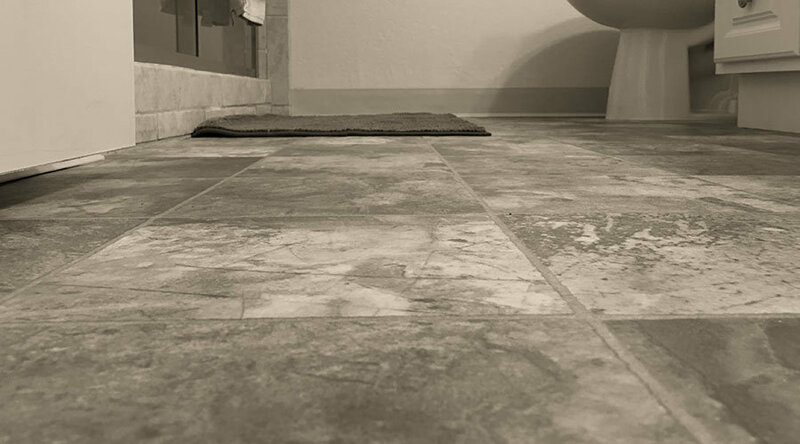 Vinyl flooring is perfect for wet areas like your kitchen, bathrooms the laundry room and even the dining room. Modern printing technology can produce vinyl flooring that can look like just about anything—so you can have vinyl floors that at first glance appear to be wood or tile. It can be applied in large sheets like carpet, or as tile. Vinyl is truly a versatile flooring. Vinyl flooring resists scuffs, scrapes, and stains. It’s also popular for being abrasion and moisture resistant. Did you know it’s made from salt? That makes vinyl a renewable source that can be recycled. Professionally cleaning your vinyl flooring helps to retain its attractive luster. Detergents and other floor cleaning solutions can be abrasive. We use eco-friendly solutions that are specifically designed to clean the finish—not the vinyl itself. It adds a protective layer to the vinyl flooring that actually makes it easier to keep clean!